Padre completed a Preliminary Environmental Assessment (PEA) for the Ella Elementary School site located at 4850 Olivehurst Avenue in Marysville, Yuba County, California. The Ella Elementary School was constructed in 1939 and currently consisted of 41,575 square feet (ft²) of building footprint, and a student capacity of 600 students. Three leaking underground storage tank (LUST) sites with reported soil and groundwater impacts are located northeast and adjacent to the Project Site. 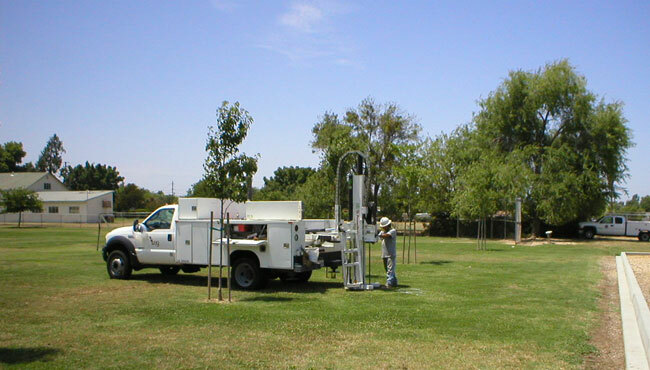 Based on the results of the soil gas and groundwater screening level evaluation conducted for the Project Site, the cumulative risk from soil vapor is estimated to be 4.9 x 10-7. Additionally, the cumulative hazard is estimated to be 0.004, and does not provide a significant health hazard (>1). Therefore, the Project Site has not been significantly impacted by the proximity of the three LUST sites. Chlordane and dieldrin were initially identified at concentrations up to 4,000 and 6,700 µg/kg, respectively in soil samples collected around the existing school restroom facility. After performing a housekeeping activity at the restroom structure and collecting confirmation soil samples, chlordane was not detected at or above its reporting limit, and dieldrin was detected at a maximum concentration of 130 micrograms per kilogram (µg/kg). Using the highest site concentration for dieldrin, the cumulative risk index for the Project Site was calculated to be 3.76. According to the Excel Calculator, a risk index greater than 1.0 indicates that further evaluation and/or remediation may be necessary. However, to provide a more representative evaluation of the cumulative risk for the Project Site from the presence of dieldrin, the risk index was also estimated using the 95% upper confidence limit (UCL) for dieldrin (23 µg/kg). Using the 95% UCL, the cumulative risk index for the Project Site was re-calculated to be 0.67. The results of the PEA screening level risk assessment and housekeeping activities do not indicate that the Project Site has been significantly impacted by past and current uses of the Project Site. Currently, there appears to be no significant impacts from the presence of three, adjacent LUST sites. Therefore, based on current site conditions, Padre recommends the issuance of a “No Further Action” designation from the DTSC regarding the Project Site. The findings of the PEA identified the presence of arsenic, PCBs, and NOA in soil at concentrations requiring further action. After consultation with DTSC, and on behalf of MUSD, Padre prepared a Removal Action Workplan (RAW). The RAW characterized the nature, source and extent of contaminants; included a risk evaluation; identified preliminary cleanup goals; provided an engineering evaluation/cost analysis of the remediation scope; and identified and evaluated remedial action alternatives. 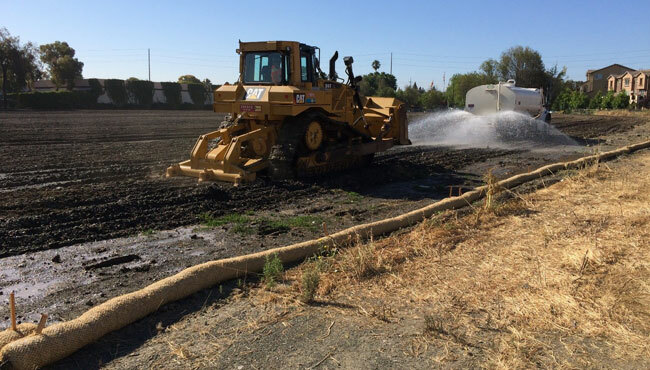 The response action consisted of the excavation and off-site disposal of arsenic impacted soils; and the insitu-bioremediation of approximately 16,400 cubic yards of PCBs-impacted soil. The selected remedial action for NOA in soil beneath the Project Site are engineering and institutional controls to reduce or eliminate potential exposure to NOA at the Project Site. Engineering controls include the development of a “clean cap” across the entire Project Site. Institutional controls include administrative measures and the implementation of a long-term Operation and Maintenance (O&M) Plan of the “clean cap”, including quarterly inspections and annual reports. Historical use of the site as a gas plant impacted shallow soil with petroleum hydrocarbons, metals, and PCBs. Padre performed soil and soil gas assessment activities to characterize the nature and extent of contamination at the site. 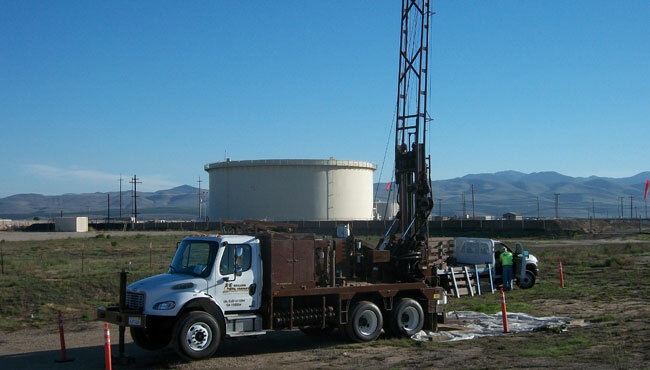 As part of this assessment an extensive soil assessment program was completed, which included the advancement of 169 drill holes and the chemical analyses of 746 soil samples. The assessment data was used in the preparation of a Human Health Risk Assessment (HHRA) for recreational use of hardscape, indoor and outdoor commercial employees, and intrusive workers. Three scenarios were evaluated in the HHRA: (1) baseline (current) conditions; (2) following targeted remediation of soil up to 5 feet bgs; and (3) following subsequent grading of the Site with certified-clean material. Regardless of scenario, cancer risks and noncancer hazards for recreational use are well below the low end of the USEPA risk management range (one in one million; USEPA 1990) and the USEPA and Cal/EPA threshold level of 1.0, respectively. The HHRA has been approved by the Office of Environmental Health Hazard Assessment.